The psalm poet was bold to imagine God swinging a pickaxe, digging our ears in our granite blockheads so that we can hear, really hear, what he speaks to us. The primary organ for receiving God’s revelation is not the eye that sees but the ear that hears – which means that all our reading of Scripture must develop into a hearing of the word of God. “Now let me tell you about the three blind men and an elephant,” Abba Ah Beng began his daily teaching session with his disciples. “Okay then, tell us the story,” Abba Ah Beng said with a gleam in his eye. “A long, long time ago, in a country far, far away …,” begins Ah Lian. “Sounds like the beginning of a Star War movie,” stage-whispered disciple Ah Kow. “…there lived three blind men who have never seen an elephant. Why? Because they are blind, so cannot see, see?” continued Ah Lian while glaring daggers at Ah Kow. “ ‘No,’ said the second blind man feeling the elephant’s trunk, ‘an elephant is like a slimy eel. See it is long with a lot of mucus.’ The elephant was having a runny nose that day,” explained Ah Lian. “ ‘Ha, ha, ha’ laughs the first blind man. ‘What is so great and fearsome about an elephant? It is just something like a tree trunk.’ ‘No!’ the second blind man countered, ‘it is like an eel.’ ‘You are both wrong,’ the third blind man shouted, ‘it is a rope!’ The three blind men started arguing, shouting and pushing at each other. “Our perception of God is limited by our senses,” volunteered disciple Muthu before Ah Kow can open his mouth again to answer. Muthu is part of the disciple-exchange program where monasteries arrange for their disciples to have cross-cultural exposure and to get rid of some their really troublesome disciples at least for a short time. “God is big and we can only perceive a small part of Him with our finite minds,” added Muthu. “God will flatten them!” boomed a loud voice from the back of the hall as a large hand slapped the wooden floor. All the little monks literally jumped out of their skin. They all turned. Standing sheepishly at the back is the cook who had snuck into the hall. “Maybe not,” said Abba Ah Beng. “Like the blind men arguing over their perceptions of the elephant, the elephant remains an elephant. If the blind men took more time to feel the elephant more rather than making snap decisions, maybe they would have widen their perceptions. Instead of opening themselves to discover what an elephant is, they have instead created an elephant in the image of what they know, like an eel, a tree trunk or a rope. “What about those people who do not believe that God exists?” asks Iskandar, another exchange disciple from the Middle East. (1) What are some of the ways we can use to get to know God? (2) In what ways do we remake God in our own image? (3) How do we keep ourselves from narrowing instead of expanding our perception of God? 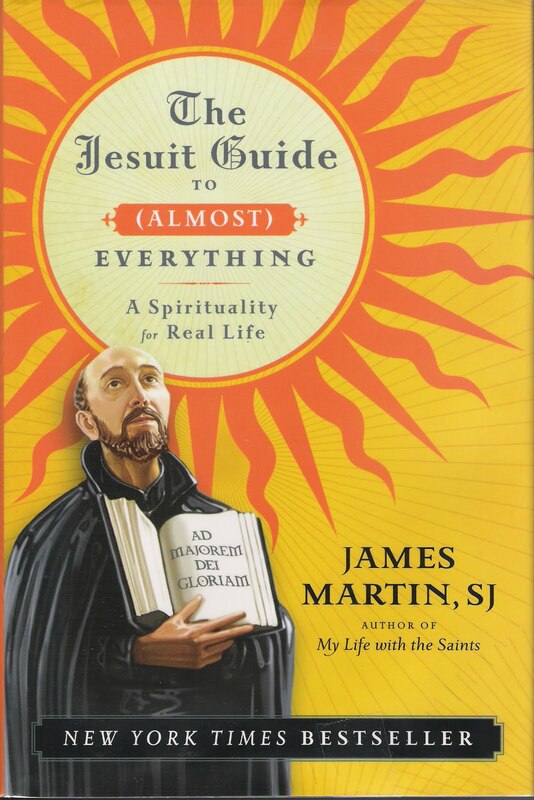 I have been reading James Martin SJ ‘s wonderful book The Jesuit Guide to (Almost) Everything: A Spirituality for Real Life for my online Book Discussion Group. James Martin is an excellent writer with the ability to poke fun at himself and his order, The Society of Jesus or the Jesuits. The SJ which comes after his name stands for Society of Jesus (SJ) but also as he relates it was applied to him as Stupid Jerk! which is an excellent summary of the main teachings of the Jesuits. With no offense to the Jesuits, I always think that it should be “contemplative in actions” rather than “becoming a contemplative in action.” I guess it is a matter of which is the object and which is the subject or which is the one where the emphasis is. I can understand why the Jesuits chose “contemplative in action” because of the misconceptions that contemplatives are navel gazers who does not contribute to the real world by being involved in real “action”. Contemplatives are those who are closeted in the monasteries, protected by thick walls from the corrupting influences of the unwashed masses and spend their time in beautific communion with God. However, not all of us are contemplatives. Many of us, by temperament are activists. We are trees cutters rather than navel gazers. Hence “contemplative in actions” where the emphasis is on the “actions.” We can act contemplatively rather than be contemplatives who acts. Another definition: a contemplative action is one that is done to please God and to fulfill his perfect will. 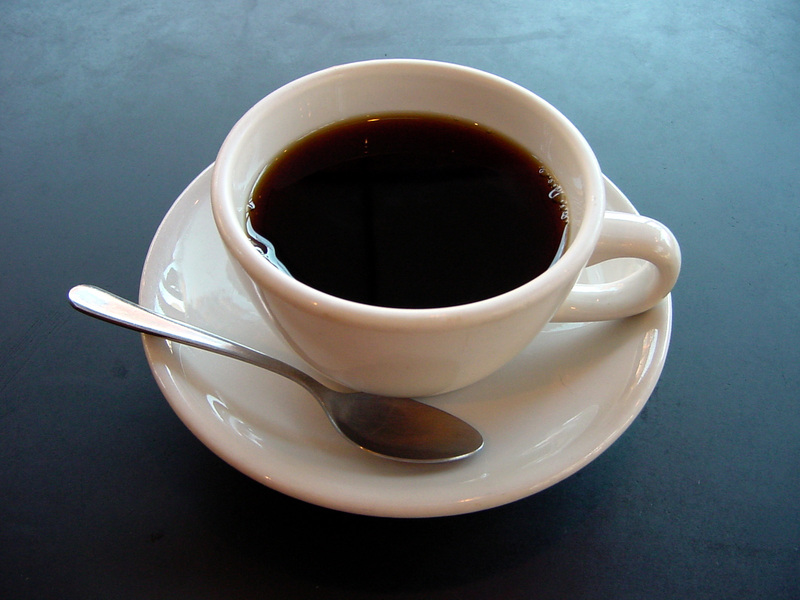 This action may be something “spiritual” or “religious” or as simple as making a cup of coffee. God created coffee and who is to say that He does not have pleasure in seeing his creature enjoying the aroma of a full-bodied dark coffee? Received my autographed copy of The Big Book of Christian Mysticism from the post office. I appreciate Carl making the effort to post it to me. I am looking forward to reading it. Mysticism signifies spirituality that is characterized by mystery: in Christian terms, this means the mystery of Christ, the mystery of the Trinity, the mystery of prayer, the sacraments, and salvation. The Mystical Body is the mystery in which we mere mortals find union with Christ, who in turn is one with God the Father (see John 10:30). So Christian mysticism is the spirituality of union with God in Christ. Contemplation, by contrast, signifies the relational “gaze” or interaction between a creature and God (in Christ, if understood as Christian contemplation). Contemplation is not a process of thinking, but rather a process of seeing. “I see God, and God sees me.” In the seeing and being seen, we are invited into union. Thus, contemplation is a normal and perhaps even essential element of mysticism. Contemplation, or contemplative prayer, is the means by which union with God may be consciously experienced (I choose my words carefully: “may” be experienced, for the act of contemplation, particularly as initiated by human beings, does not guarantee or engineer any particular experience of God; all it does is dispose the contemplative to receiving whatever gift, in whatever form, it may please God to give). But just as mysticism arguably requires contemplation, so too I think we can make the case the contemplation leads to mysticism (or, at least, to “ordinary mysticism” as I defined it yesterday). Thus, I believe that contemplation and (ordinary) mysticism, while not identical, are certainly most intimately related. Read more. or are both an overlap of the process of ‘deitification’ or union with God? My understanding of mysticism is that it is the state in which our being (mind,soul,spirit) perceive of being in contact with God. It is best explained by the analogy of a dance. As the Orthodox tradition best explains it, this dance is the perichoresis of the Truine God. We are invited to join in this dance. Mysticism is the ontological and episemiological awareness of being participant in this dance. Contemplation is a more focused mysticism in that the attention is directed to one member of the Trinity. It is also an ontological and epistemological awareness but narrower in scope. Both mysticism and contemplation comes under the process of union with God as we come into deeper relationship and interaction with the Truine God who is both immanent and transcendent. 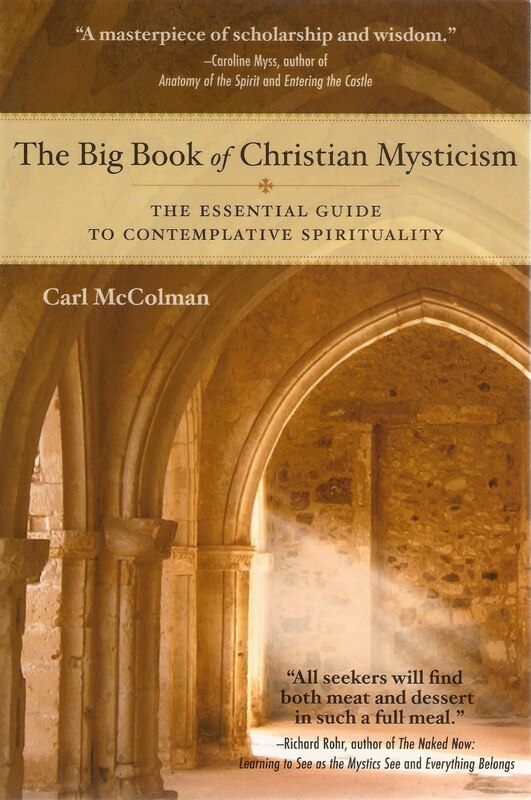 Carl McColman whose The Big Book of Christian Mysticism I am impatiently waiting to arrive so that I can read it on the long plane ride to South Africa defines “ordinary” and “extraordinary” mysticism in his blog post here. I find his definitions very illuminating and similar to my own perspective. This is especially useful for Evangelicals who for some unknown reasons find mysticism threatening. Ordinary Mysticism is what I understand Rahner to mean when he says “the Christian of the future will be a mystic or will not exist at all.” This is, in essence, an experiential spirituality which seeks union with God, in the heart of the mystery of God, which transcends a merely rational or intellectual relationship with God. This mysticism basically has three characteristics: it aims for, and hopes for, the felt experience and conscious awareness of the presence of God, and union with God. But of course, since such experience can only by the gift of God, the seeker must recognize that sometimes God is “known” only in darkness or unknowing — the felt experience of the seeming absence of God. This is where faith is essential, for only a lively and well-nurtured faith can sustain the seeker through times when God seems absent. In addition to experience and faith, the third element of ordinary mysticism is practice: the disciplined engagement with historically recognized spiritual practices, including lectio divina, meditation, prayer, and contemplation, which do not cause the experience of God, but dispose the seeker to be open and receptive to receive whatever experience God may choose to bestow. One who engages in such practices can be called a “contemplative,” even though the highest, most mystical form of contemplation is, itself, purely a gift from God. Extraordinary Mysticism, like ordinary mysticism, entails the conscious awareness of the presence of God, and/or sustaining faith in God’s presence even when only aware of God’s seeming absence, and a life ordered to spiritual practices aimed at fostering greater intimacy with God. However, it is extraordinary in the sense that the mystic experiences phenomena or events that cannot be explained by ordinary human science: such as miraculous healings, visions, locutions, levitation, the ability to survive on no food other than the Eucharist, the stigmata, and the body remaining incorrupt after death. Such phenomena, of course, is controversial, and many devout Christians may remain skeptical about such things. I would argue that even a person who is skeptical about allegedly supernatural phenomena may still be an “ordinary” mystic. I strongly hold that mysticism has a place in Christian spirituality because mysticism prevents Christians from placing God in a box. 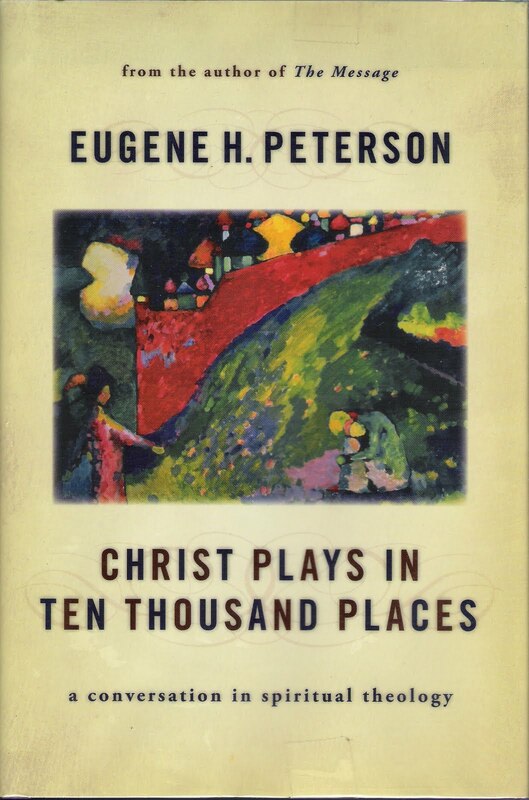 I always regard Eugene Peterson as one of the modern masters of spiritual theology. I am sure he does not think of himself that way. He was one of the few early Evangelicals who was into spiritual theology before it became popular. He is the Professor Emeritus of Spiritual Theology of Regent College, Vancouver, Canada. His earlier books are still worth reading. These five books of a conversation on spiritual theology together are Eugene Peterson’s magnum opus on the subject. The book is about the Bible and how we as Christians are to understand the truths that are in it. Peterson, the author of The Message which is a modern paraphrase and translation of the Bible is in a unique position to show us what teaching and learning from the Word of God is about. 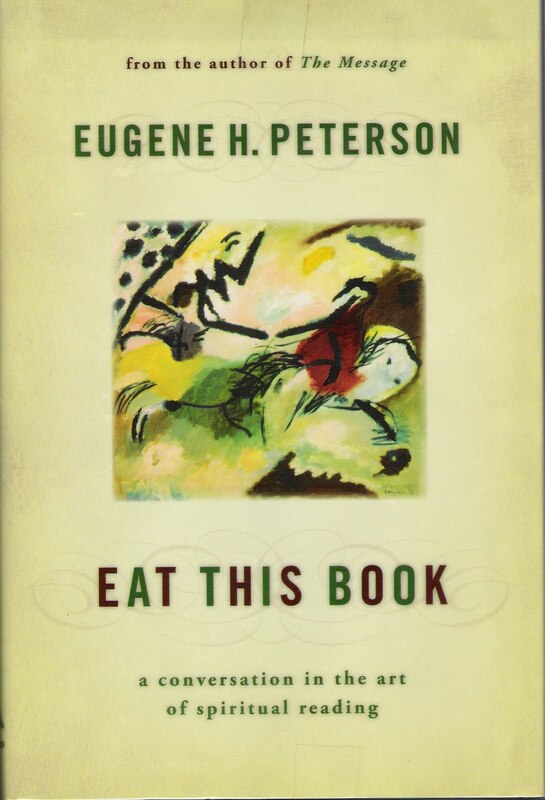 He challenges us from mere cognitive understanding to propositional truths to assimilating and living it out the Bible – hence eat the book. How we do as disciples of Jesus Christ behave and live in this world is the subject of this book. Languages are important media of communications. 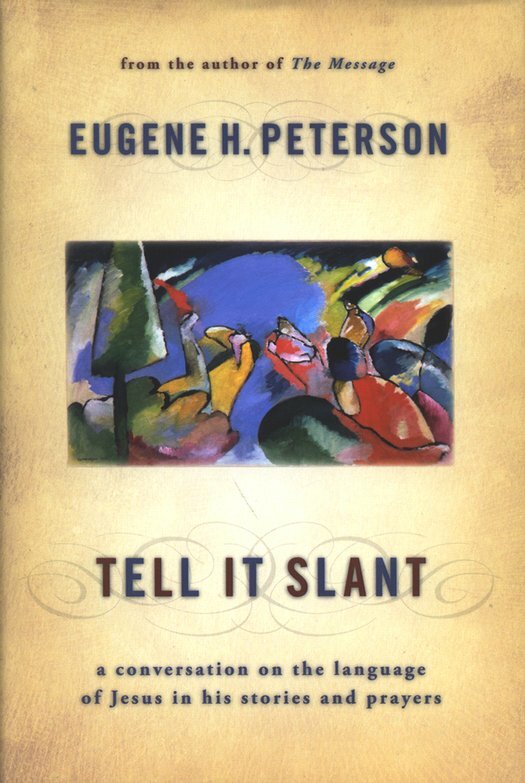 In this book, Peterson takes on the way we understand truth and how our culture limits our understanding. 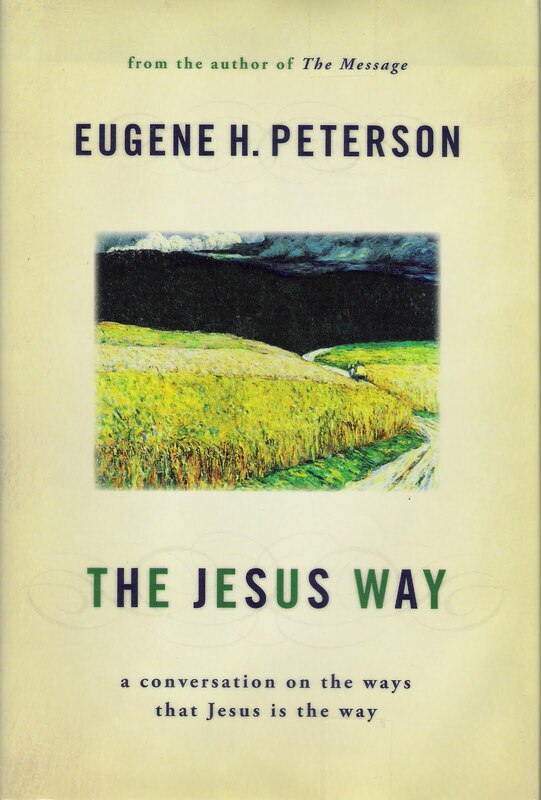 Peterson shows us the way Jesus uses languages to teach his disciples. This is the final book in the series. 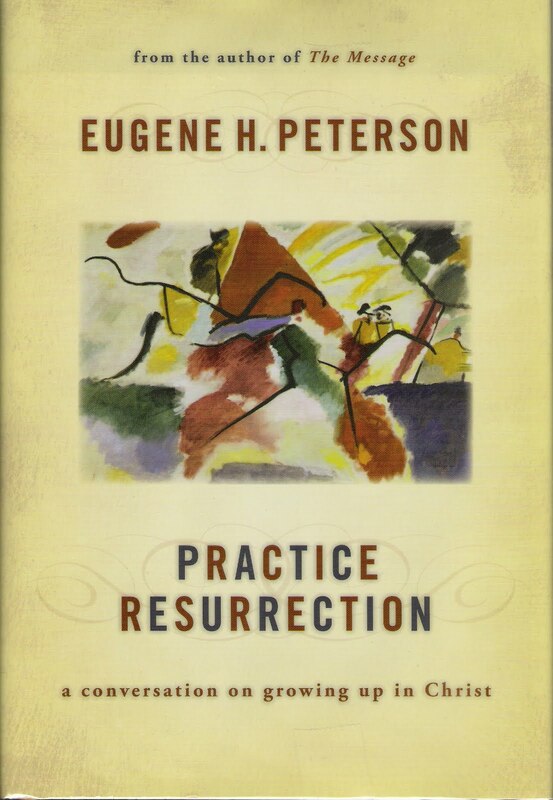 Peterson wraps up his discourse on spiritual theology by exploring what spiritual growth or spiritual formation involves.